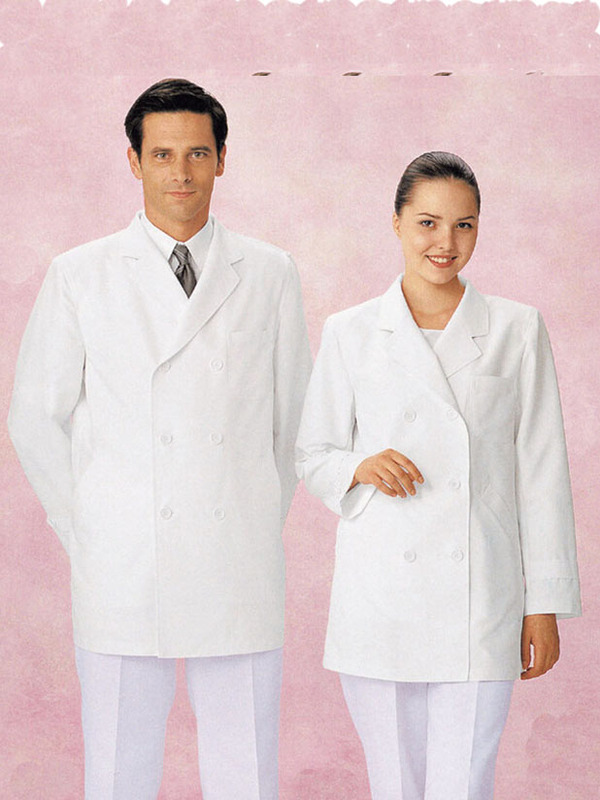 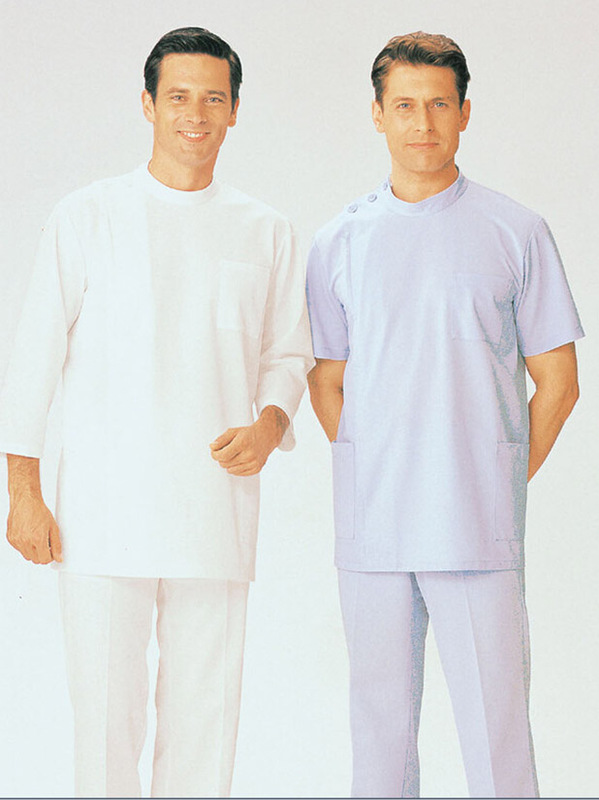 Stand collar men dentist clothing . 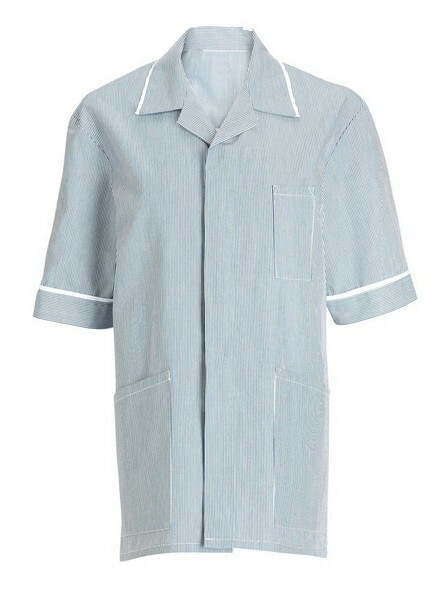 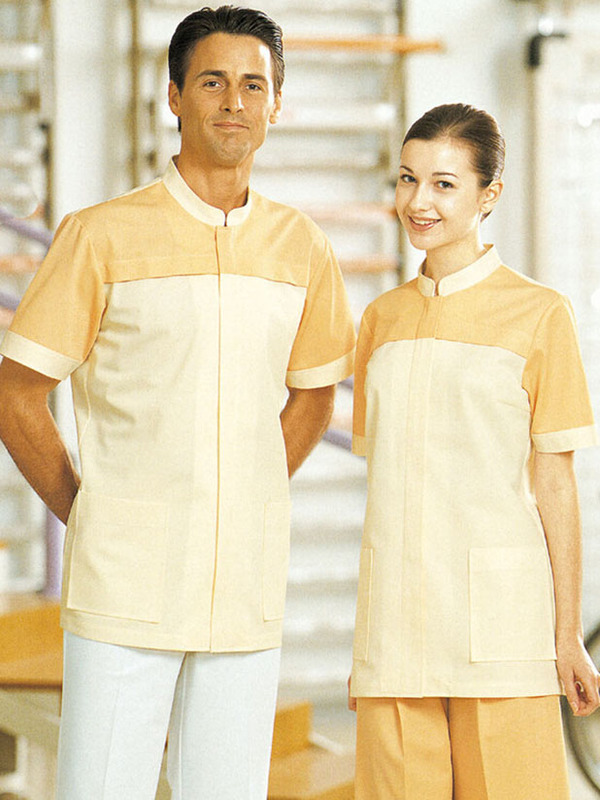 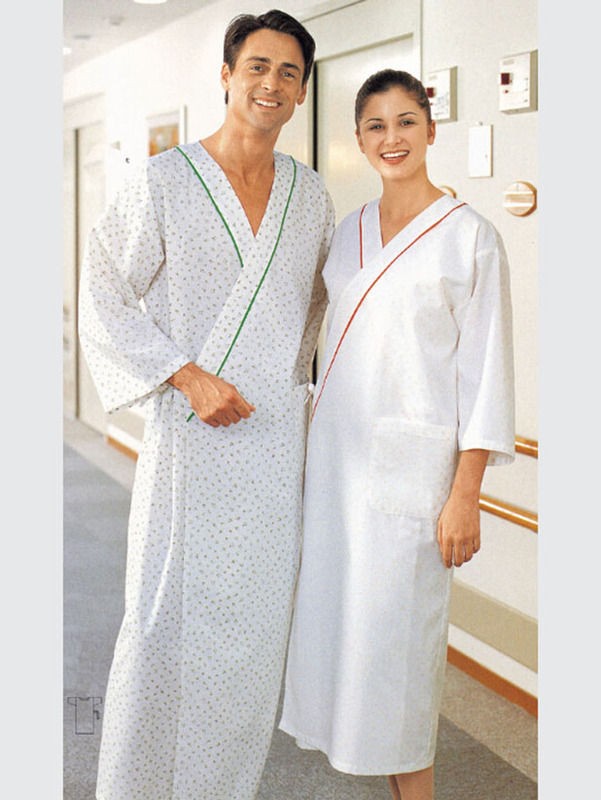 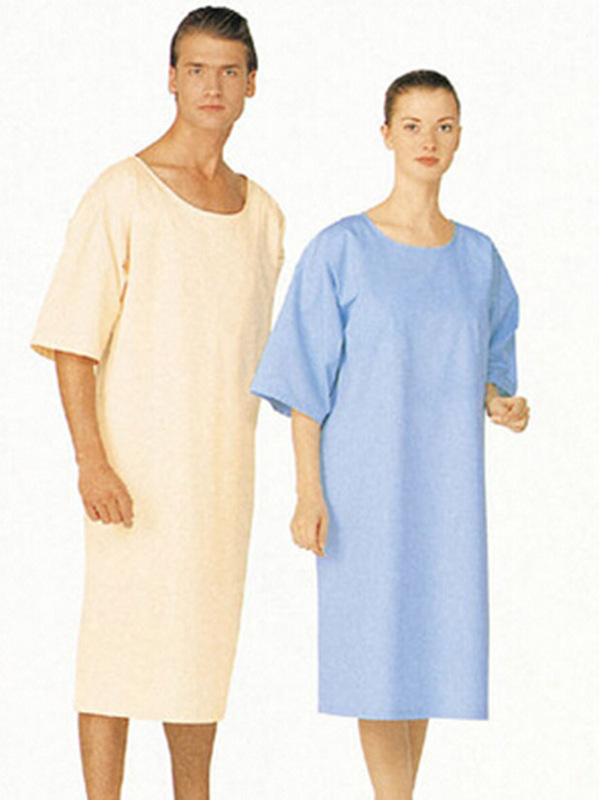 Short –sleeved ,healthcare suit . 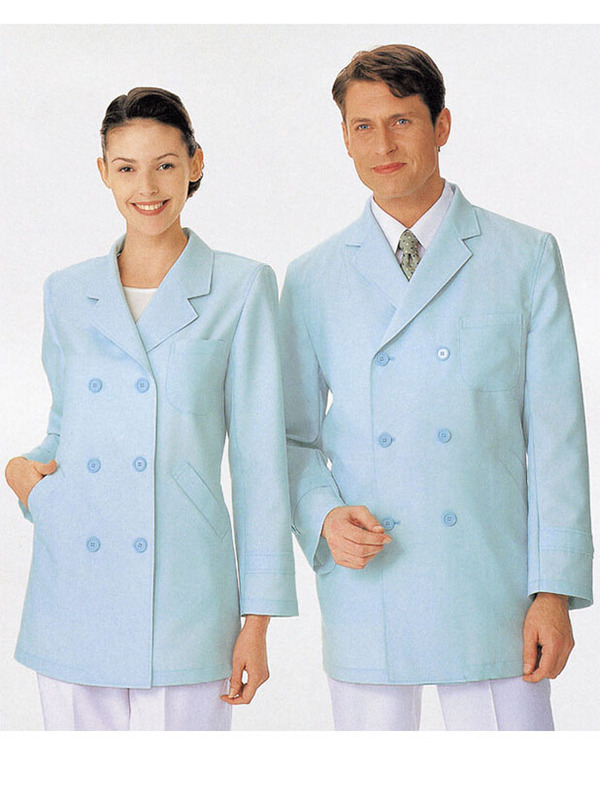 Three buttons in the top right of the shoulders . 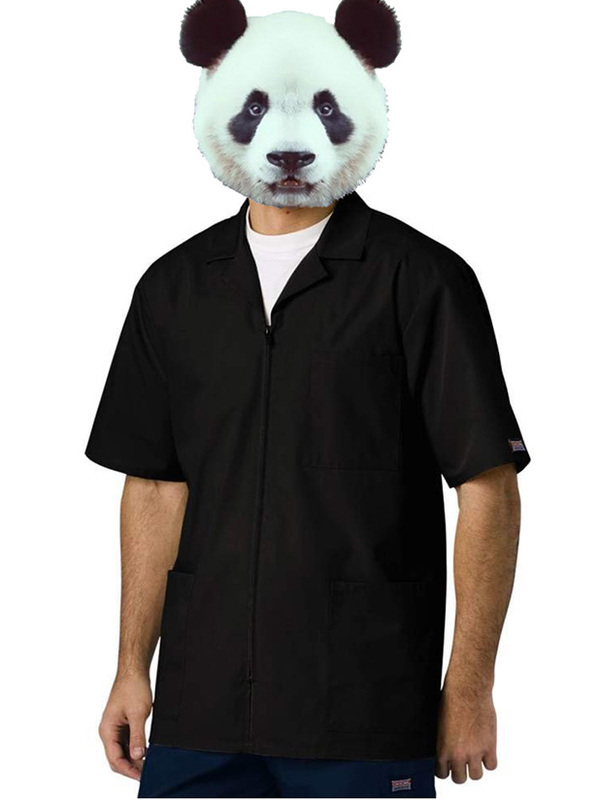 Panda workwear can do this well .